Grey overcast skies and snow do not allow observations currently. South-African observations by Ian Roberts show that PAN was still drifting as off 21 December. Will be interesting to see where the drifting stops (if it continues this way, it will soon drift out of my reach). In a week or so from now, I will be preparing my overview of 2010 observations. For now, I want to fill the weather-induced lul in observations by showing a recent addition to the patch collection. Patch designs of the black space program have become a bit generic and bland lately, perhaps as the result of this NRO Director's memo, but the NROL-41 patch above is beautiful. And, with hindsight, offering some clues (to what we now already know from our own observations). The clue is in the heroine archer. She is aiming for the setting sun (i.e., westwards). I feel this could very well be an allusion to the unusual retrograde (westward) orbit of the FIA 1 Radar. The purple 'vermicelli' pattern in the nighttime earth actually includes a few character combinations, i.e. acronyms, of units and organizations connected to the launch. Recognizable are amongst others 'NRO', and what appears to be '4 SLS' and 'LRS' or 'LRSW'. 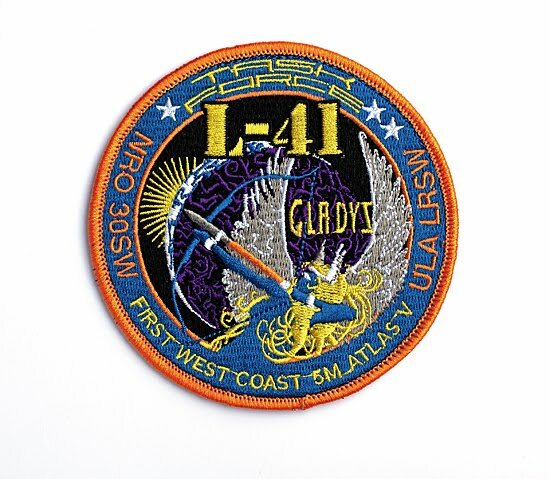 It would be interesting to know what the three white stars in the patch rim signify. When did PAN start to drift? Mystery satellite "UNKNOWN 101208" is PAN!